Kinoko Nasu, born on 28 November 1973, is a Japanese author best known for writing the visual novels Tsukihime and Fate/stay night. Renowned for a unique style of storytelling and prose, Nasu is amongst the most prominent visual novelists in Japan. 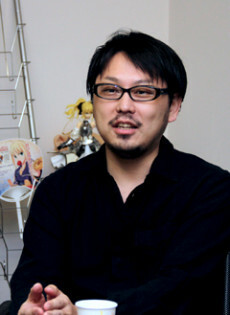 Together with high school classmate and friend, Takeuchi Takashi, Nasu formed TYPE-MOON in 2000, originally as a doujin group to create the visual novel Tsukihime, which soon gained immense popularity, much of which is attributed to Nasu's unique style of storytelling. A sequel to Tsukihime, Kagetsu Tohya, was released on August 2001.